A 14th century pope was a “heretic” and remained pope, so Bergoglio must remain pope, too, right? Right? 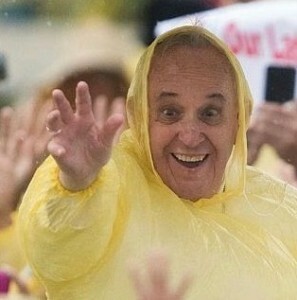 JORGE BERGOGLIO’s antics are unnerving more and more people in the conservative/traditionalist wing of the post-Vatican II establishment, and it is becoming harder and harder for them to insist that Francis is really a pope. In the past week alone (in January 2015), Bergoglio has rattled on about “rabbits,” repudiated apologetics (Take that, Catholic Answers!) and given a pat on the head to a “trans” couple. What next? Those who recognize the gravity of Francis’ errors find themselves peering over the precipice into sedevacantism — the only truly coherent theological explanation for the dilemma he embodies — and it makes them dizzy. So controversialists on the right have stepped forward and tried to jury rig some guardrails. He doesn’t explicitly mention the dreaded “trigger word,” sedevacantism, but it is absolutely clear that this is the real subject of his article. 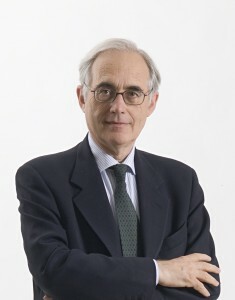 The implied conclusion Dr. de Mattei wants us to draw about sedevacantism proceeds, more or less, from the following analogical argument: John XXII (1) became a public heretic after he was elected pope, (2) but he did not therefore lose the papal office, and (3) the Church resisted him. So too, Francis (1) has become a public heretic after he was elected pope, (2) but he does not therefore lose the papal office, and (3) we have the right to resist him. So take a deep breath, and feel the sense of calm and contentment as the effects of your recurring Bergoglio-induced sedevacantism anxiety attack once again recede from your head and members. But alas, the soothing analogical argument that Dr. de Mattei prescribes fails for at least two reasons. 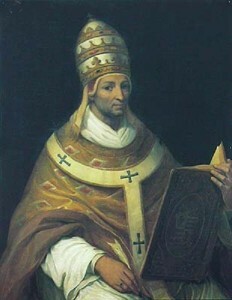 (a) The doctrine on the Beatific Vision had not yet been defined — John XXII’s successor, Benedict XII would do that. Dr. de Mattei, perhaps sensing a weakness in his analogy because of this, waffles on the point: when it came to the common teaching on the beatific vision at the time, John XXII “contested the thesis,” “fell into heterodoxy,” “entered into conflict with Church tradition on a point of primary importance,” “sustained the view,” “re-proposed the error,” “tried to impose this erroneous view,” etc. So while in the title of his article, Dr. de Mattei speaks of “a pope who fell into heresy,” he shies away from employing the specific technical term “heresy” in his text. And the heresy of the post-Conciliar popes, including Bergoglio, is the starting point for the sede argument. (b) Then there is the mode that John XXII, who had been a theologian before his election, employed to present his arguments and conclusions. Such statements excluded the element of “pertinacity” proper to heresy. So, two of the conditions which by definition are necessary for heresy to exist were simply not present in the case of John XXII. The second point on which Dr. de Mattei’s implied analogy fails is the hidden assumption that, like John XXII, Bergoglio validly obtained papal authority in the first place, which he could somehow retain, despite public heresy. Bergoglio, however, was a public heretic before his election, and as a public heretic, he could not be validly elected pope. We made just this point and provided more citations for it in an earlier article, whose title sums up why Dr. de Mattei’s implied John XXII/Bergoglio analogy fails: Bergoglio’s Got Nothing to Lose. SO ON BOTH COUNTS — heresy and validly obtaining papal authority — the analogy between John XXII and Francis is yet another shaky barrier that must fall on the road to acknowledging the only logical explanation for Bergoglio: He’s a heretic who was never a real pope to begin with. Anything else is just whistling past the graveyard. This was written by Rev. Anthony Cekada. Posted on Wednesday, January 28, 2015, at 7:22 pm. Filed under Francis / Bergoglio, Sedevacantism, Sedevacantism: Objections. Bookmark the permalink. Follow comments here with the RSS feed. Comments are closed, but you can leave a trackback.